What do you want with this portable AAC/MP3 Player, with 4 GB storage ? 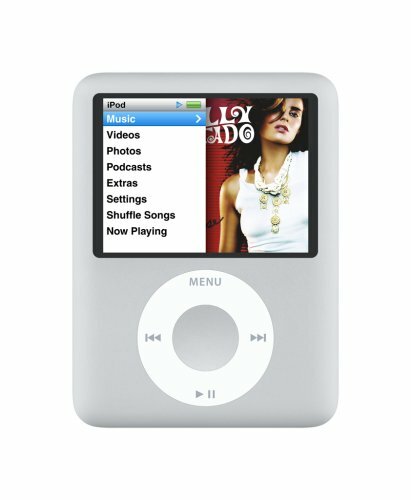 Apple iPod Nano with large storage. An anodized aluminum top and polished stainless steel back. Five eye-catching colors. A larger, brighter display with the most pixels per inch of any Apple display, ever. iPod nano stirs up visual effects from the outside in. iPod nano is the small iPod with one very big idea: Video. Now the world’s most popular music player lets you enjoy TV shows, movies, video podcasts, and more.The larger, brighter display means amazing picture quality. It features an anodized aluminum top and polished stainless steel back. It’ll wow you for hours. Play up to 5 hours of video or up to 24 hours of audio on a single charge. iTunes provides music, movies, TV shows, games and more.